Pulleys can be decisive in the eyes of those who are not aware of its specifications. Indeed, it looks similar at first glance- but little do you know, the materials used and its size actually matters… A LOT. Finding the perfect pulley for your precision instrument can be quite exhausting- looking for reliable products that last long and meets desired operational results while being cost-efficient. Lucky you, you’ve come to the right place. At JJC Associates, we don’t just simply sell our products. 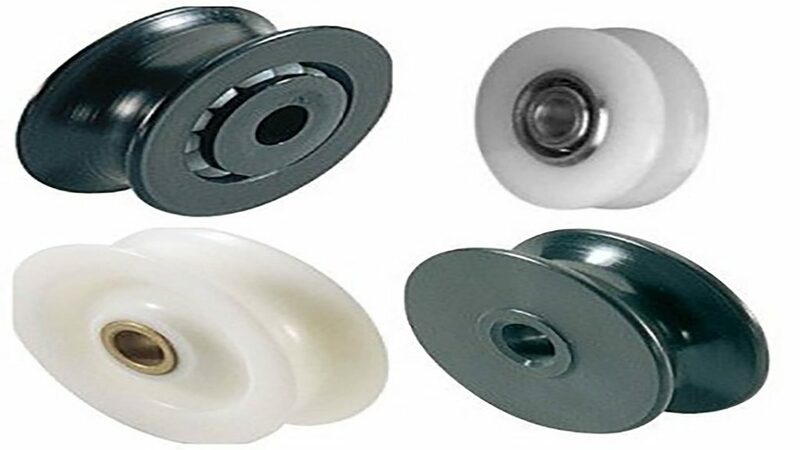 We help our clients in making their instruments work so here are some few points you might want to consider when choosing the pulley for your next machine. To have these qualities, your pulley must be made from the correct material that suits the type of industry or project you will be doing. Here we get to look closer at these things one by one. Among the materials here, the most frequently utilized product is aluminum and, the next on our list, steel. It’s greatly considered because of its lightweight, durable, greater tensile strength, and resistant to high temperature. This makes the ideal option for drive systems with high horsepower. Compared to other materials, such as plastics or nylon, only aluminum has the sufficient capacity for such horsepower drive systems. Great tensile strength. Its tensile strength capacity makes it an ideal choice if you wish to put heavy materials as its load capacity is high. High-temperature resistance. Another main reason to choose aluminum over anything else. If your industry involved working with the high-temperature environment, pick aluminum as a material for your timing belt so that the belt won’t fail. Durable. Aluminum is durable and is stable with regards to its dimensions so worry less about getting your pulley crooked or deformed with this kind of material. Steel is similar to aluminum when it comes to quality. Due to its availability, it’s also a commonly used material for timing pulleys. Its qualities meet the standard of several industries, including those with the most rigid requirements. Stable. Materials like steel can withstand harsh environments so it doesn’t have a tendency to be deformed as time passes by. Higher load capacity. Due to its high tensile strength, steel has a capacity to take greater loads. JJC Associates provide timing pulleys that can take the maximum load while still meeting all industrial standards. Temperature sensitive. As mentioned, steel is a stable material. Compared to plastics, it has a greater ability to be stable whether in a cold or hot environment. This might be the least durable among the list, but plastics are actually still preferred and has applications depending on where you’ll use it. For instance, if you’re not dealing with harsh environments. You shouldn’t worry about using plastics since only in extreme or cold environment it somehow creeps from its original shape. Lightweight. Since it’s made of plastics, it’s also the lightest on this list making it ideal for lighter projects. Affordable. Being the cheapest on this list, plastics is ideal if you don’t want to spend a lot for timing pulleys. Less maintenance. Unlike aluminum and steel, plastics, apparently, doesn’t undergo oxidation. Therefore, you don’t have to coat it from time to time. How can I tell if it’s the perfect pulley for my project? We know the rule in making things like this work: if it fits, then it might be the right choice. Unfortunately, just “being able to fit” isn’t enough with precision instruments. You want your project to be on the exact place on the exact to time- and this can only be done with meticulousness. In selecting the right pulley size for your project, the diameter of the pulley must be in a ratio: the greater the difference in the diameter and thickness ratio there is, the lesser its bending stress whilst increasing belt life. WELCOME TO OUR BELT LENGTH CALCULATOR!